Engineering design and drafting experience across all stages of the project. Good communication, problem-solving and computer skills. Capable of interpreting calculations of Structural Engineering. High school consistent Class Topnotcher. Model Student Awardees and belongs to 33rd place among 350+ high school graduates. 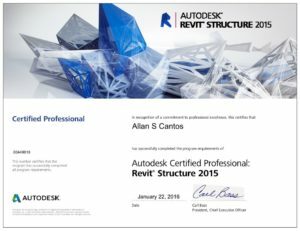 Lead Revit Building Information Modeller. 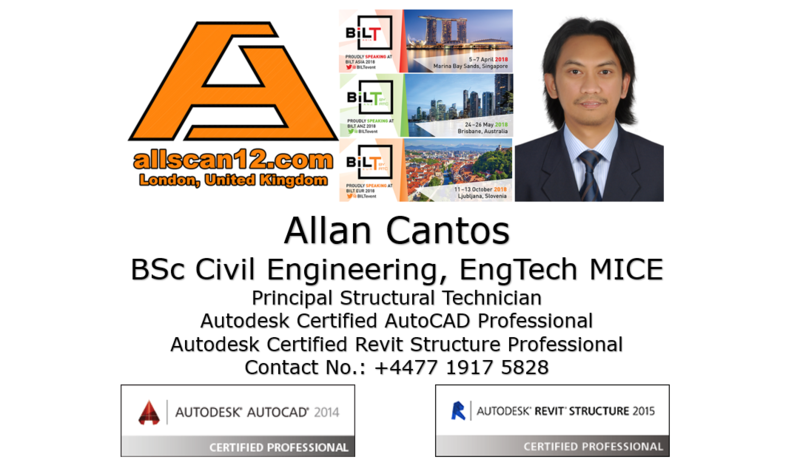 Support Senior Technician in providing structural documentation (Tender Stage) using Revit Structures. Worked as the main Structural CAD Technician in documenting the multi-level car park linking to the main airport terminal with a bridge. I am using Revit Structure in creating a building information model. King Abdulaziz International Airport – Jeddah, Kingdom of Saudi Arabia Worked on the 5 airport facilities using Revit Structures. Iconic key office building owned by Qatar Industries Company located in the heart of Doha. 71 floors, 7 basement levels, ground and mezzanine, 466 m height and total floor area of 71,500 m2. My task was to provide 2D structural drawings for reinforcement plans, beam schedules and provide details where necessary. Masdar External Car Park Garages – Abu Dhabi, U.A.E. I produced a 3D structural model using Microstation Triforma and delivers 2D documentation on time. Arup is adopting Building Information Modelling (BIM) to this project. Dubai Waterfront – Dubai U.A.E. An Arup-Dubai first Revit Structure made a 3D model which also able to delivers 2D documentation on time. The Landmark – Dubai U.A.E. A 72 storey high rise building with the mechanical plant between levels 66 and 72. The contract documentation includes design intent drawings for the steelwork from level 67 upwards. Prepare structural engineering designs and modifications by conducting a site inspection, analysing, and applying structural engineering concepts. Performing design calculations relating to foundations and structure, loading, structural response and connection design. Provide a schedule of reinforcement based on STAAD (Structural Analysis Aided and Design) 2005 and Esteem Structural Engineering Software. 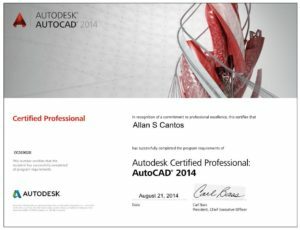 Provide AutoCAD training to newcomers in the company specifically in structural AutoCAD drafting and reinforced concrete structural detailing. Prepare working drawings or shop drawings of the designed project using AutoCAD software. Structural Design of Shk. Faisal Bin Qassim Al Thani Villas (two types) using Esteem Structural Design Software and preparation of working drawings using AutoCAD. Structural Design of 200 Ton Silo using STAAD. Structural Design of Shk. Khalifa Apartment using Esteem Structural Design Software and preparation of working drawings using AutoCAD. Analysis and design of some member/element as required for verification. The result of computation using computer design and analysis software like STAAD. Provide a schedule of reinforcement based on STAAD (structural analysis aided and design) 2005 software computation. Make general AutoCAD shop drawings for certain projects that include architectural, electrical, structural, plumbing, mechanical and other related detailed drawings that are needed for certain projects based on the outline design by the consultant or direct supervisor. Propose a design for villas, commercial establishments, offices, etc. For client’s satisfaction using AutoCAD software. Make an animation of a 3D AutoCAD generated drawings using 3d studio max software from exterior to interior view. Transfer all sketches and handmade drawings into computer print-out for clearer understanding. Make a design of marble arrangements for living rooms, dining, kitchens, bathrooms, etc. Use Photoshop for the presentation of the final design. Supervise the work on sites to avoid error in work. Communicate immediately with the architect or design engineer before the execution of work on site if there is certain error/s on the drawings. Make a weekly progress report regarding project development. Able to translate the plan into actual works. Transfer all sketches and handmaid drawings into computer print-out for it to be understandable. Make a detailed output of any structural members subjected for detailing. Verify if the detailed member coincides to where it is connected. Make a plan for all structural members as a basis for markings. Review all the detailed structural members and check if they are properly marked.